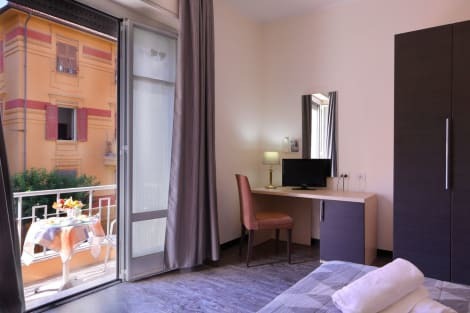 Enjoy the comfort, the sea views and the friendly service at this 3-star hotel set on the seaside promenade of Chiavari, home of beautiful blue-flag beaches. Hotel Santa Maria faces the Gulf of Tigullio. Take advantage of the hotels sun terrace. The hotel garden is furnished with tables and chairs, where you can sit with a refreshing drink from the bar. In the garden you will also find a dedicated play area for children. Stay in comfortably furnished and functional rooms at Hotel Santa Maria. The hotel provides in-room comforts such as minibars, air conditioning, and TV with Mediaset Premium channels. Some rooms have sea views. Hotel Santa Maria features a meeting room for 60 people, free WiFi and on-site parking, available at an additional cost. Savour local specialities in Hotel Santa Marias restaurant. Relax on the nearby beach clubs where you will receive discounted rates. The railway station, historic monuments and famous streets are all within a 500-metres radius of the hotel. You will be within easy reach of the A12 motorway exit. Helpful hotel staff will assist you with travel and tourism information, and can organize great tours of the area. With a stay at Albergo Stella Del Mare in Chiavari, you'll be a 3-minute walk from Chiavari Beach and 13 minutes by foot from Colonia Fara. This hotel is 5.6 mi (9.1 km) from Bay of Silence and 13.7 mi (22.1 km) from San Fruttuoso Abbey. Make yourself at home in one of the 25 air-conditioned rooms featuring minibars and flat-screen televisions. Complimentary wireless Internet access keeps you connected, and digital programming is available for your entertainment. Private bathrooms with showers feature complimentary toiletries and bidets. Conveniences include phones, as well as desks and complimentary newspapers. This property is 12 minutes walk from the beach. Hotel Monte Rosa is set in the historic centre of Chiavari, and is managed by the Bacigalupo family since the beginning of the 20th century. You can get a free bicycle at reception, and enjoy the outdoor swimming pool in summer. The Monte Rosa has guest rooms and suites, all fitted with furniture, air conditioning, and a minibar. Free Wi-Fi is available throughout the hotel. 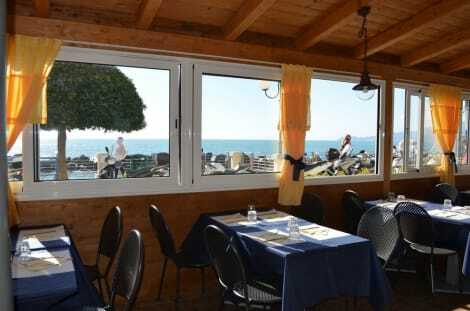 Ristorante Monte Rosa is well known throughout the region. It is open between March and October, and during the Christmas holidays. Breakfast is buffet style. The hotel is a 10-minute walk from the train station, which is reached via a pedestrian area and ancient arcades. A garage is available on site. lastminute.com has a fantastic range of hotels in Chiavari, with everything from cheap hotels to luxurious five star accommodation available. We like to live up to our last minute name so remember you can book any one of our excellent Chiavari hotels up until midnight and stay the same night.